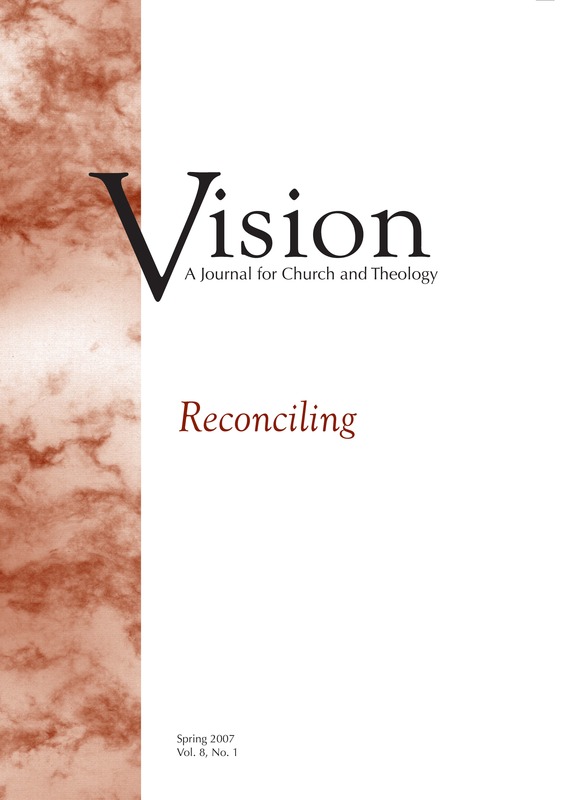 This issue of Vision focuses on reconciling, and the articles included help us understand both the unity that has been given to us and what it means to live into it. This issue is seasoned with the wisdom of authors who have studied and worked at reconciliation in places of deep animosity, brokenness, and alienation. Their writing nevertheless reflects a profound but perhaps understandable hope. After all, the church in reconciling proclaims its faith, a faith rooted in Jesus Christ and the generous love and mercy of God.